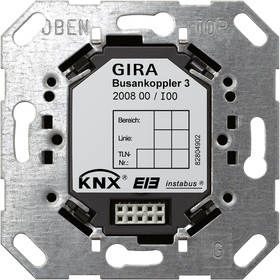 The bus coupler 3 connects the KNX system to a KNX application module. The combination of bus coupler 3 and application module represents a functional unit. In the ETS project, this unit is configured in the form of the application program of the application module.